The Child Minder project fills the gap for monitoring and evaluation for ill or potentially ill child care situations. 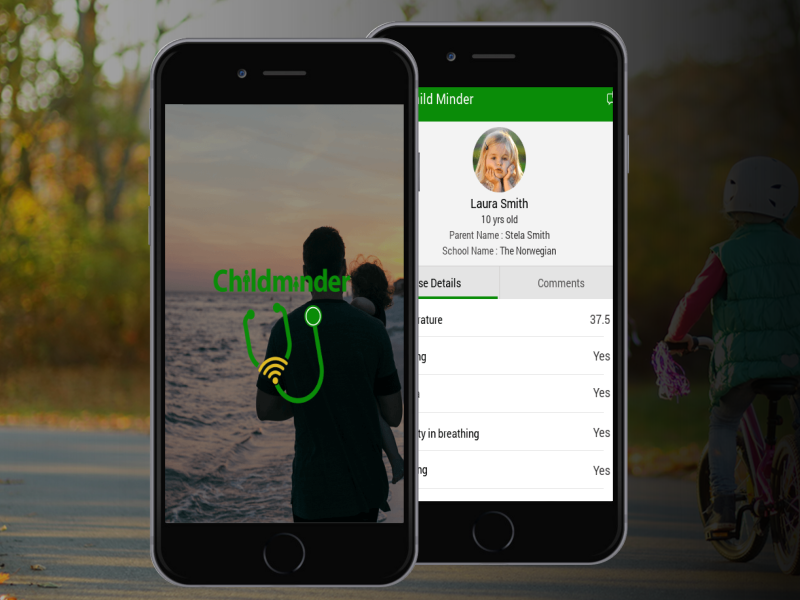 It tackles the problem areas of minding the child while the parent/ guardian is at work and at the same time interacting between the teacher-parent and healthcare professional. An alert system comprising of colour codes such as Green, Amber, and Red is used to indicate the level of progress in the child’s health.